[Release Note] Hybrid Switch GS1920v2 Series - Phase 5 new patch firmware has been released! Nebula Mobile 2.0 is on App Store/Google Play now! We are recruiting Nebula SD-WAN Beta Users! [News] Nebula has leveled up! [Release Note] Nebula Control Center - Phase 5 software has been released! [Release Note] Nebula Access Point Series - Phase 4 firmware has been released! [Release Note] Nebula Security Gateway Series - Phase 4 firmware has been released! 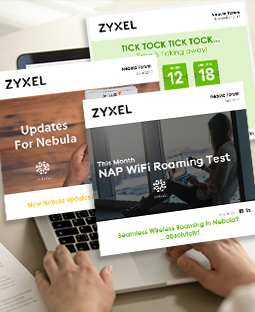 [News] Check out what’s new in Nebula Phase 4 release! Preview the new look of Nebula Control Center!! [Release Note] Nebula Security Gateway Series - Phase 3 firmware has been released! [Release Note] Nebula Access Point Series - Phase 3 firmware has been released! [HOT] NAP test, NCC review and UBNT comparison- all in one!